ZTE has launched a mid range smartphone, Nubia Z11 Mini, in an event held in China. The device is not that powerful but has some features like fingerprint sensors that may lure some customers. ZTE Nubia Z11 Mini is priced at RMB 1499 (INR 15,000 approx) in China. There has been no news about the global availability of the phone yet. It is dual SIM phone and comes in three colors, i.e. White, Black and Gold. Nubia Z11 Mini has a compact 5.0 inch IPS display but carries a full HD 1080 x 1920 pixels resolution which make the display very sharp and vivid. The phone is mere 8mm thin, which make it very sleek and handy to hold. It does support both 3G and 4G networks and runs on Android Lollipop out of the box, but is expected to get the taste of Marshmallow soon. It has a custom Nubia 3.9 UI over the Android OS. ZTE Nubia Z11 Mini is equipped with Snapdragon 617 Octa core processor and Adreno 405 GPU. It has 3GB of RAM and 64GB of internal storage which is surely not the limitation, as it has support for memory card up to 200GB. The micro SD card can be used in one SIM slot, means you can either use 2 SIMs or 1 SIM and a micro SD card. It sports a powerful 16MP primary camera with LED flash accompanied with a 8MP front facing camera. Both the cameras are capable of recording videos in full HD resolution (1080p). The camera has been optimized with NeoVision 5.8 software. Other features include fingerprint sensors, FM radio, NFC, USB Type-C port, OTG, Wi-Fi, GPS and Bluetooth. Overall it is rich feature phone with some decent specifications and pricing. It is backed with 2800mAh battery which is non-removable and can power up the phone for a complete day with average usage. 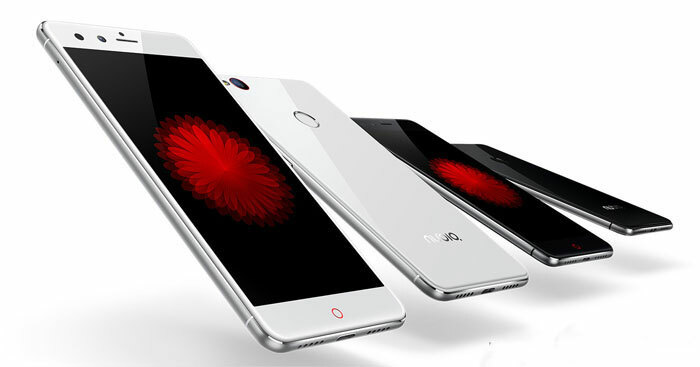 ZTE Nubia Z11 Mini will soon be up for sale in China and, might be in other countries as well.